Sotheby's, London, 25 November 1974, lot 15. D. Foskett, Collecting Miniatures, Woodbridge, 1979, pp. 295, 296, illustrated pl. 77A (as by Spicer), praised 'This is an attractive portrait and interesting for costume'. D. Foskett, Miniatures: Dictionary and Guide, Woodbridge, 1987, pp. 295, 296, illustrated pl. 77A (as by Spicer), praised as above. 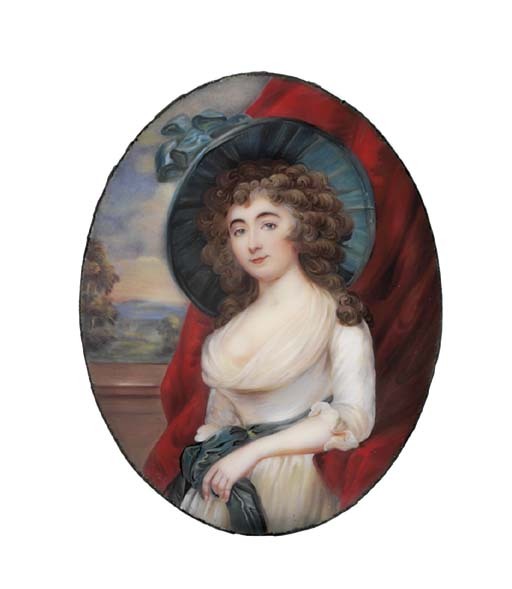 Mrs Martyr was an actress who is recorded to have performed at the Cheltenham theatre during the 1780s.